This one-day live 3DMAPS (3D Movement Analysis & Performance System) is the most innovative way to effectively analyze and enhance the entire body in an efficient, revealing, and evidence-based manner. This certification equips you, the movement professional, with the content, competence, and confidence to meet the needs, wants, and goals of all of your patients and clients. Unlike any other movement screen, 3DMAPS is a movement analysis and performance system that applies to the three-dimensionality and abilities of all individuals and all of human function. 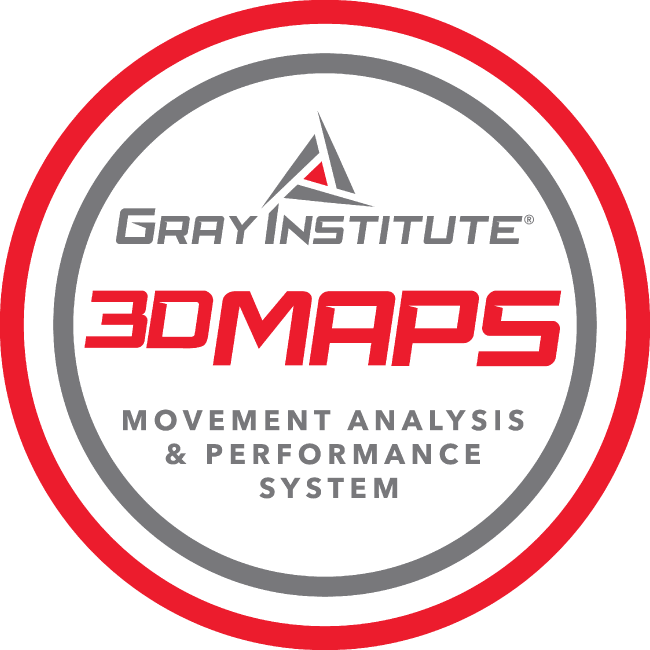 3DMAPS boils down all of human movement (the three-dimensional interaction of joints, muscles, and proprioceptors) into 6 Vital Transformational Zones, adapts these movements within Mobility Analysis Movements (assessing range of motion) and Stability Analysis Movements (assessing control of motion), and empowers you to then prioritize the best and most logical progressions in serving your patients and clients better.